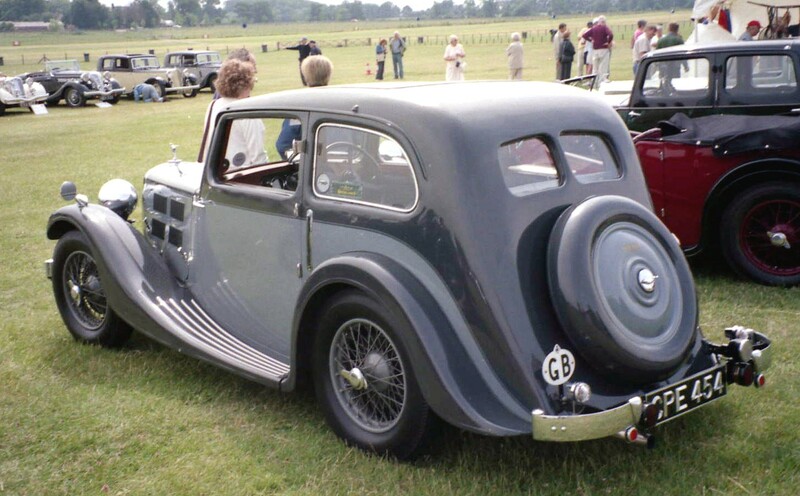 This rare and desirable model was one of the variations of Triumph’s Gloria series of cars built for the 1935 season. 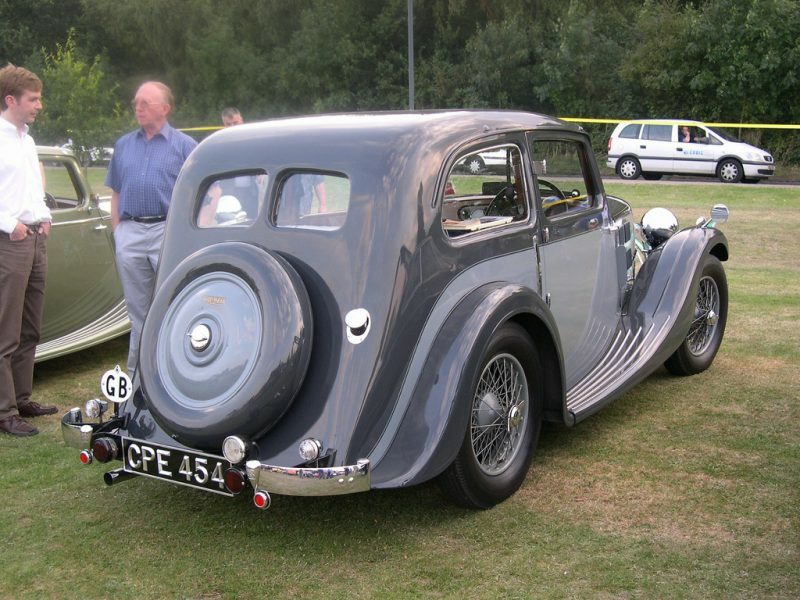 Taking a shortened Gloria chassis, which had been developed for the sporting ‘Southern Cross’ models, Triumph added this custom built two door body for those who required a smaller sporting saloon. The car was well received for its lightness of steering, its handling and performance. 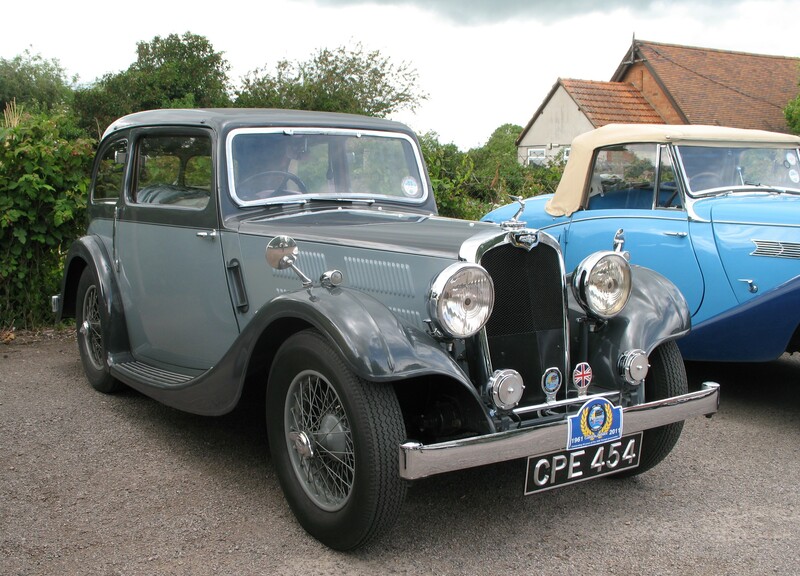 CPE 454 was discovered in a deteriorated condition in 1982 and was subject to a full detailed restoration of all aspects of the car. A ‘nut and bolt’ project covered all mechanical aspects, including a rebuild of Triumph’s trade-mark Coventry Climax 1232cc, 10.8hp engine. This interesting engine with overhead inlet and side exhaust valves was renovated with new, re-metalled bearings and a re-profiled camshaft to improve performance. 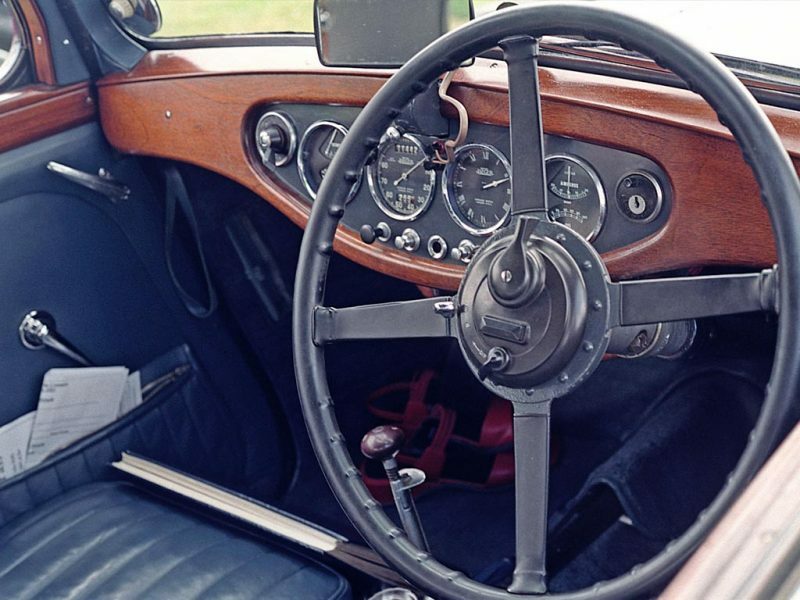 The reconstruction of the body, the lovely two tone grey paintwork and the stunning leather and polished wood interior were entrusted to the pre-war Triumph restoration specialist, Rob Green and the staff of his Gloria Coachworks in Oxfordshire. The resulting car is a delight, living up to Triumph’s reputation; it is pleasant to drive and its performance and large Lockheed hydraulic brakes adequately cope in modern traffic conditions. Triumph was renowned for the quality of their interior fittings and CPE is perfect in every detail. Only four of these Gloria Coupes survive and CPE 454 is the only one currently roadworthy.